Burnt classrooms at Chibok Government Girls Secondary School (GGSS), where 230 teenager girls were abducted by Boko Haram militants on April 14. Picture taken a week after the attack. Sources say that some of the 230 school girls abducted from Nigeria’s North-Eastern town of Chibok more than two weeks ago have been transferred to neighboring Cameroon and Chad. Some villagers near the Nigeria-Cameroon border indicate that they have seen girls on board buses heading to Cameroon. Other reports given to the BBC say a ‘bridegroom’ of a girl has been spotted: a bride price of 2000 Naira ($12.50) has been quoted. A local source in Cameroon told World Watch Monitor he confirms similar reports. Hundreds of people, mostly women, marched to the National Assembly in Abuja; the capital of Nigeria. The demonstrators handed a letter to the President of the Senate calling on the government to do more to secure the release of the school girls abducted by suspected Boko Haram militants. The rally organisers, a new movement “Women for Peace and Justice” calls for the Nigerian government to mobilise every resource to bring back the girls. The semi-desert north of Cameroon has become a safe haven for Boko Haram militants operating in Nigeria. On April 4, a Canadian nun and two Italian priests were kidnapped after a group of armed men stormed their small parish and ransacked church buildings before heading toward Mora, near the Nigeria border. Reports of the transfer of schoolgirls were also confirmed by a member the Chibok Elders Forum. Dr. Pogu Bitrus told the BBC that some of the teenage girls had been spotted being taken in lorries and canoes across the borders into Cameroon and Chad. On April 14 Boko Haram militants stormed Chibok Girls Government Secondary School in the night where they overpowered the security guards before herding at least 230 of the female students onto trucks, and drove the girls (who were between the ages of 16 and 20) deep into the nearby Sambisa forest. Since then, only about 40 of them have managed to escape. Chibok is a Christian enclave in the predominantly Muslim Borno State, in North-Eastern Nigeria and most of the affected families are members of EYN Church (Church of the Brethren). So for many, the abduction of the schools girls is an attack against Christians. ‘‘Such an attack where girls were taken away has never taken place. Even recently when they [Boko Haram militants] attacked a Federal Government College in Buni Yadi, the boys were killed but the girls were told to go away and leave the school. They never took them away. This is the first time they are taking such a number of girls in a school. So we are assuming they did so because most of the girls are Christians’’ says a local church leader, whose identity could not be disclosed for security reasons. The massive abduction of school girls has plunged Africa’s most populous nation into deep outrage. On Thursday, President Goodluck Jonathan, who has been blamed for his indifference over the agony of Chibok’s families, chaired a National Security Council (NSC) meeting (extended to include State governors, security chiefs and spiritual leaders) in Abuja. The Security Council tasked the Nigerian military to rescue the abducted schoolgirls. 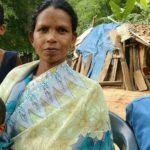 But many of the affected parents are very sceptical about the role of the army, already accused of not doing enough to rescue the missing girls. 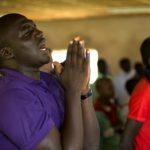 Last Thursday, April 24, Nigeria’s largest church network, the Christian Association of Nigeria (CAN) called for prayer and fasting for the safe release of the some 230 teenage school girls. The local chapter of the CAN in Borno State (where the girls were abducted) also decreed three days of prayer and fasting.